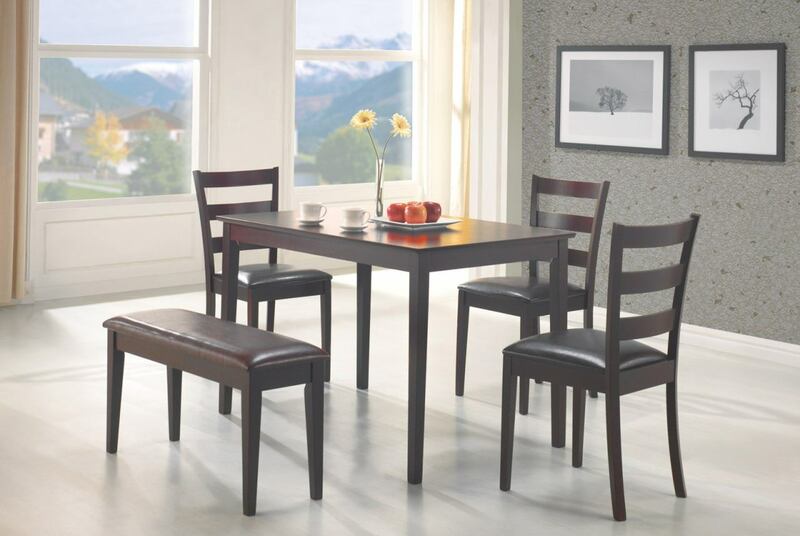 Dining table group by Coaster Furniture. This contemporary styled set features simple lines in a rich cappuccino wood finish. Table features a smooth wood top with square tapered legs. Matching chairs and bench feature dark faux leather cushioned seats and the chairs have horizontal curved back slats. Enjoy style and sophistication in your dining area with this collection.